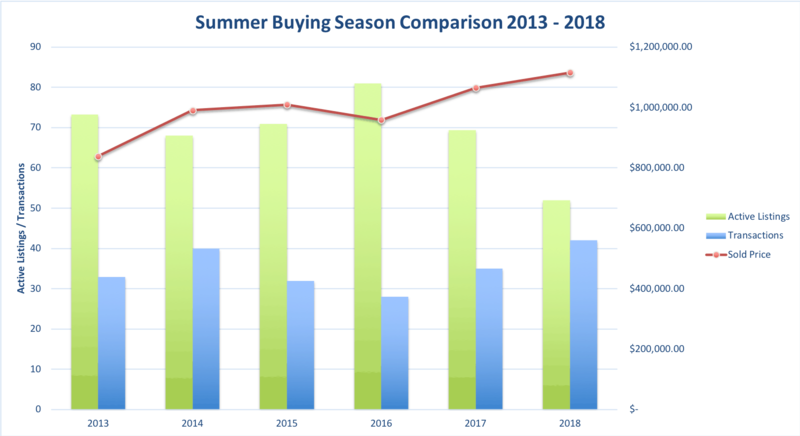 At the end of the summer I like to provide a comparison of the summer buying season with past years. I use the dates corresponding to the AISD summer schedule, which this year lasted from May 31st – August 19th. Below are some highlights as well as table and graph for a sense of the trends. The distribution of sales throughout the summer was more even than it was last year. In 2017, over 50% of all transactions occurred in June. In 2018, the distribution was 38% in June, 38% in July, and 24% in August. Note: All data comes from the Austin Board of Realtors’ MLS report, reflecting activity through August 19, 2018.